With my continued pursuit to find some bang for the buck mechanical keyboards out there, I stumbled upon the Royal Kludge G87, a mechanical keyboard that's built like a tank, works in both wired and wireless mode, has tons of lighting modes and has side glow illumination. The only problem is I can't find any decent reviews about it. Luckily, Banggood.com is kind enough to provide me with one. 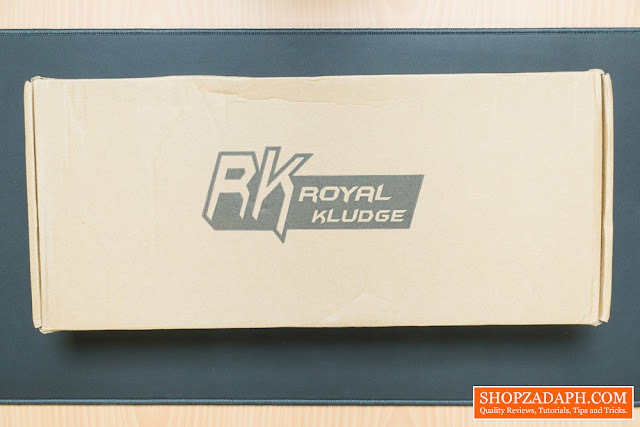 Today, we are going to talk about everything you need to know about the Royal Kludge G87, especially about their own version of the brown switches, so let's get into it. 1. RK G87 is an 87-key compact Bluetooth 3.0/USB wired RGB backlight mechanical keyboard. It can be connected with up to three devices and can easily be switched among them. 4. Built-in rechargeable battery, sustainable use of electricity for 100 hours. With a Type-C data line, used for wire connection and charging. 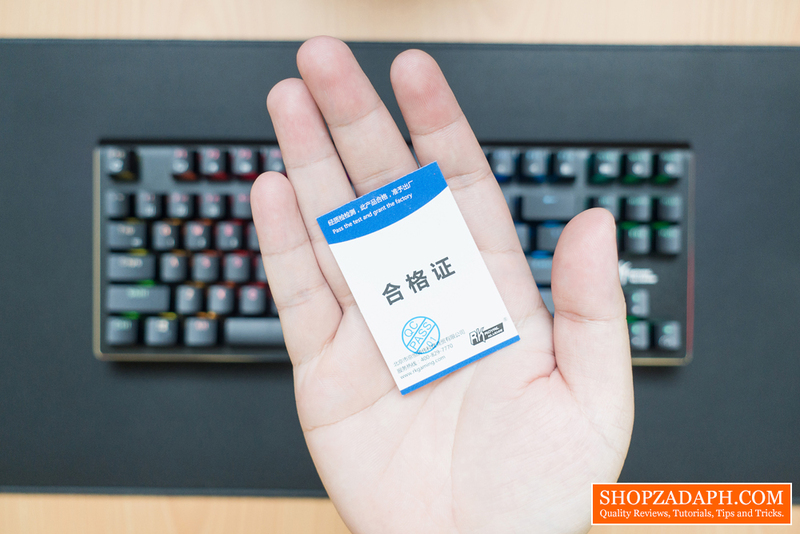 Inside the box, we have a Quality Control Passed Card. A user Manual in Chinese which, unfortunately, doesn't have English translation. But don't worry, I've got you covered with this one. And of course, the keyboard itself. The Royal Kludge G87 is one of the most solid keyboards that I've had so far in terms of build quality weighing around 777g. The combination of aluminum back plating and thick bottom housing makes it durable and there's basically no flex at all with the body. 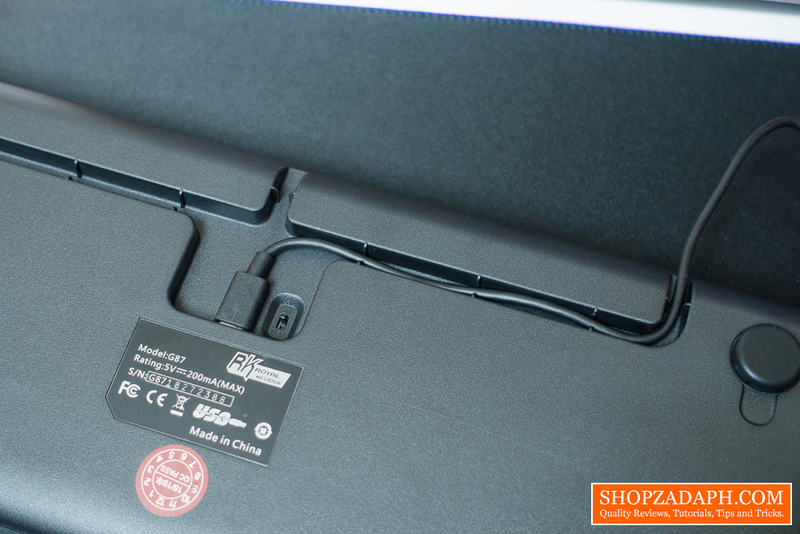 In terms of design, it looks fantastic with chamfered edges and black textured finish on its aluminum back plating. 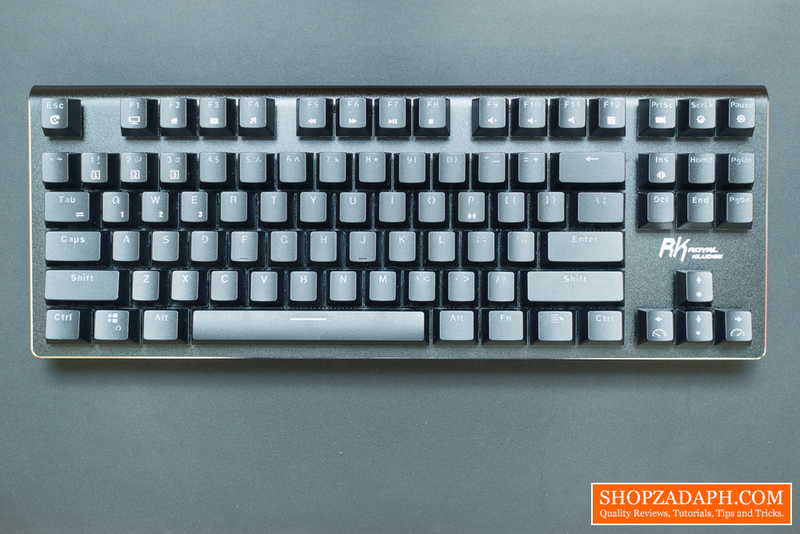 In terms of layout, it's pretty standard TKL layout which means it doesn't have num pad allowing you to save some desk space. The fonts used are not the "gamery" looking font which I always prefer, with some additional legends such as the reset, connectivity, Bluetooth profiles, lighting presets and the usual function legends at the top. 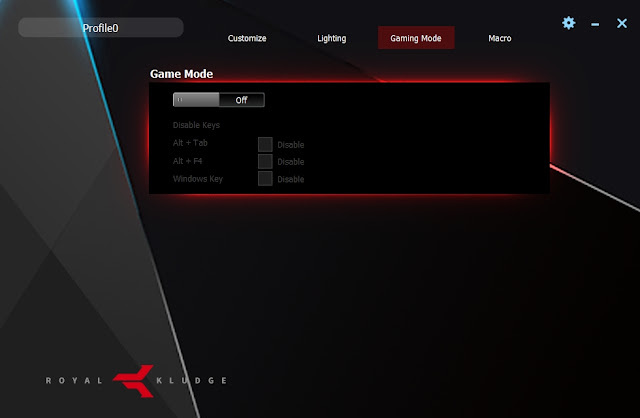 We also have some legends for modifying lighting modes at the right side and the RK logo. 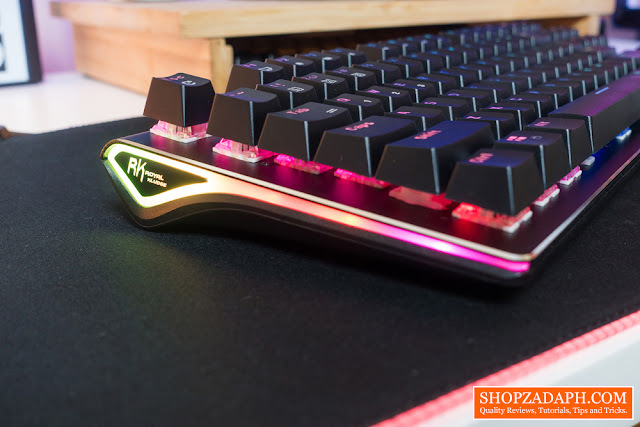 On its side, we can see here the translucent plastic spanning across the keyboard for RGB illumination with the Royal Kludge logo at the end. 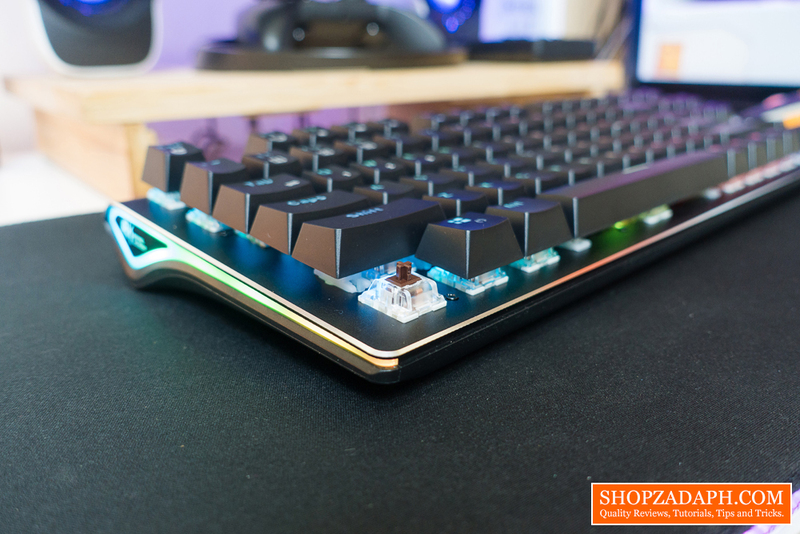 The bottom housing's profile is slanted and the keycaps are sculptured giving the keyboard a curved profile for ergonomics. At the back of the keyboard, we have the switch for changing modes between wired and wireless connection. We also have here the USB Type C port and some cable routing channels at the top that is a very well appreciated feature. 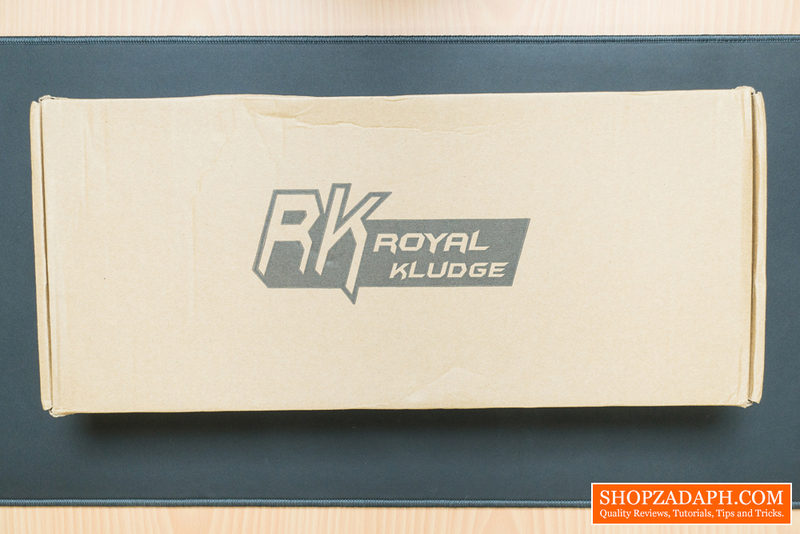 What we have here is Royal Kludge's version of the brown switch. 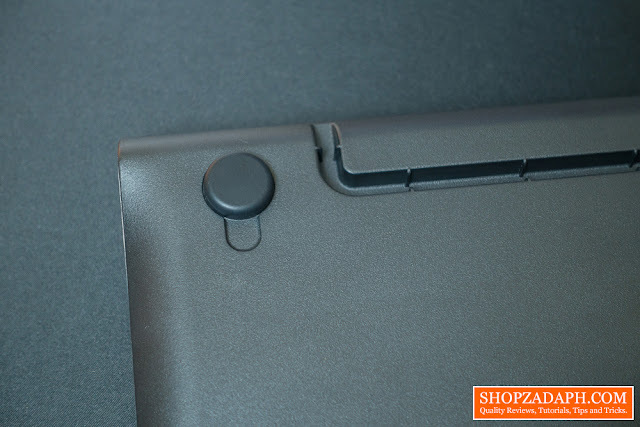 Brown switch is tactile which means you will feel a slight tactile bump halfway through the keypress to inform you that the key was activated. This is considered as a middle ground compared to linear switches which don't have tactile nor clicky feedback on it, and the clicky and tactile blue switches and the like. 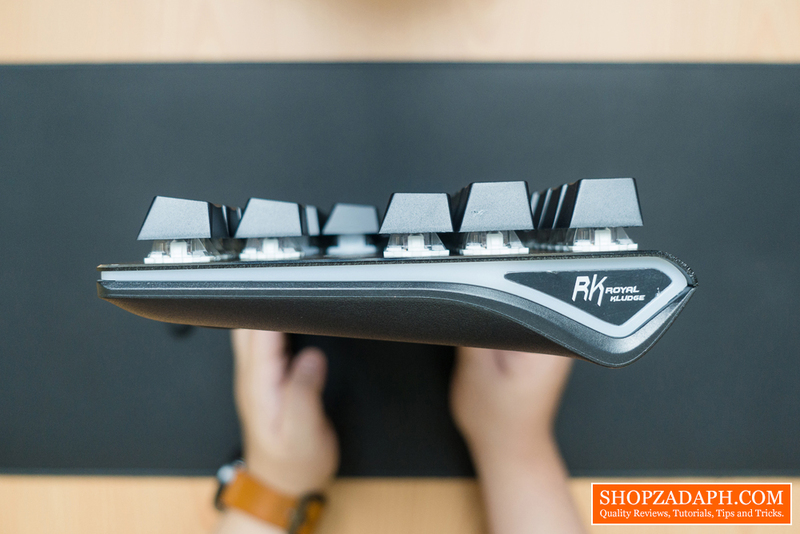 So this is very good for both typing and gaming. Personally, the brown switch is my favorite because it is relatively silent while still providing you with a tactile bump. Now, comparing the RK Brown switch to the original Cherry MX Browns, the Cherry MX browns are lighter to actuate and feels smoother than the RK browns. I can't find any information about the actuation force of the RK browns so I'm just basing this from my own observation. 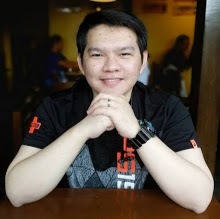 I tried reaching out to RKGaming about the specs but they weren't able to assist me on time. 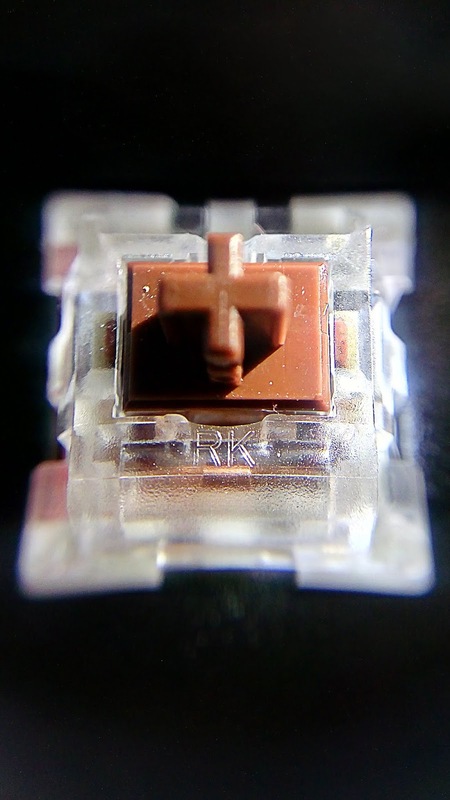 Regardless, the RK Brown switches are still pretty decent and unless you're a keyboard enthusiast and quite sensitive to feel the difference, then this should be fine. The keycaps although made of ABS plastic is Doubleshot and quite solid with a thickness of around 1.5mm. 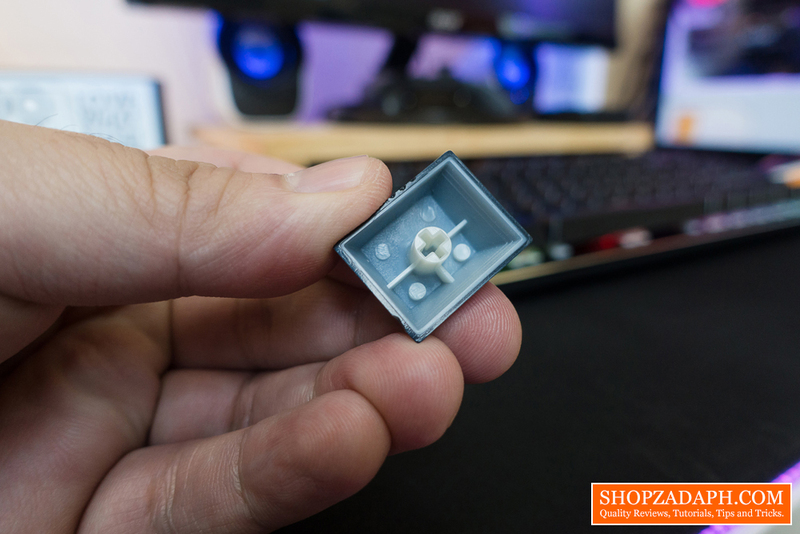 I really like the quality of the double shot molding as you can see here it spans across the overall keycap, unlike most budget keyboards that I've tried that has the double shot injection only at the top of the keycap. 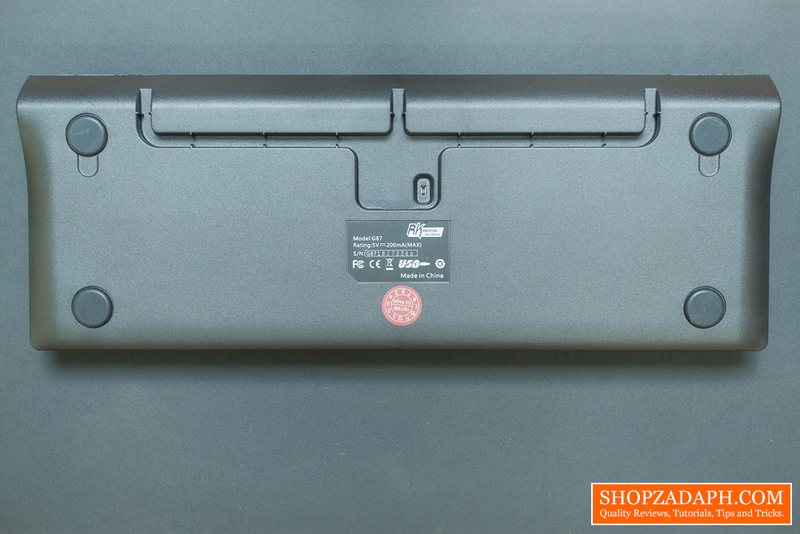 The fonts are laser etched revealing the translucent plastic allowing the backlighting to pass through. I also like the fact that this uses a somehow normal font instead of an aggressive "gamery" looking font that we usually see. In terms of RGB lighting modes, It has a lot actually with 18 different lighting modes that you can toggle by pressing FN+scroll lock. You can also change the brightness by pressing FN+down or up arrow keys in 4 levels. 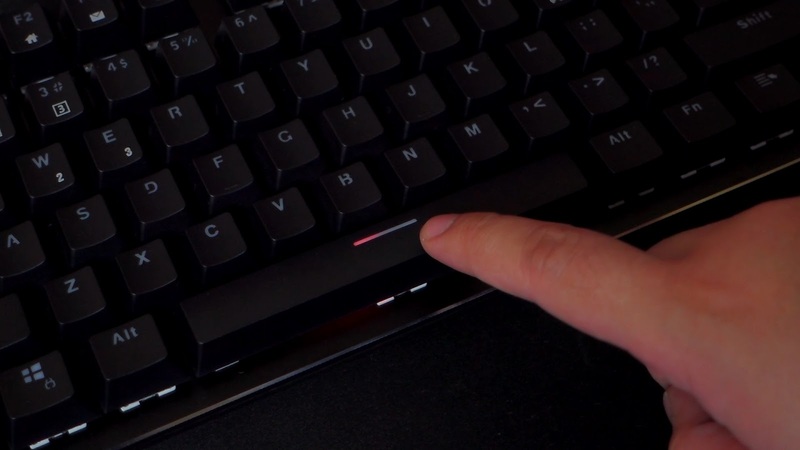 You can also change the speed by pressing FN+right or left arrow keys. To change colors, just press FN+pause and you can choose from 8 available single color options. Aside from that, you can also choose from 3 different custom lighting presets that you can change depending on your preference. You can even record your own by pressing FN+printscreen until the caps lock and windows key start flashing, choose the keys that you want to light up and press them multiple times to change colors, once you're done, just press FN+printscreen again to finish recording. After that, you can access it anytime by pressing FN+the number you chose. 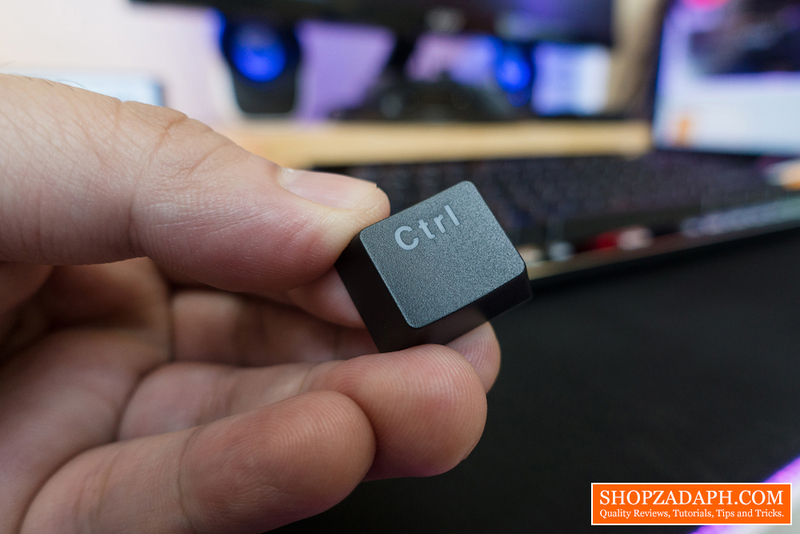 You can also press FN+windows key to lock the windows key and prevent start menu from popping out while gaming. 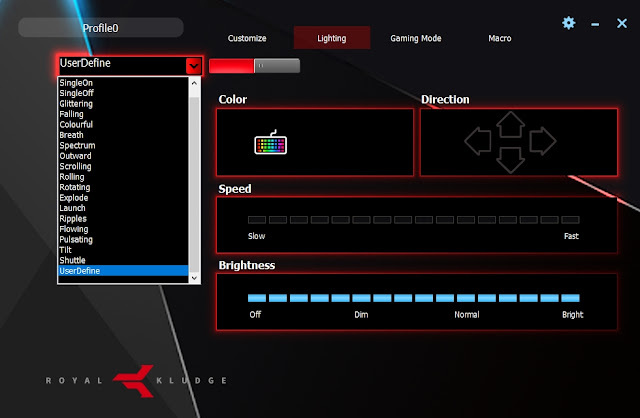 You can change the lighting modes on the side glow by pressing FN+insert, we have color spectrum wave, 6 solid colors, off, and spectrum cycle. The keys are individually backlit and is a true RGB LED, which means every LED on each switch is capable of producing colors outside the typical primary colors, and the transition between colors during animations are very smooth. The only downside that I can see with this is that the backlighting is not as bright as my Ajazz AK33, and that's because the LEDs on the RK switches are actually located at the bottom of the switch, compared to the Zorro switches which are located at the top. Regardless, it's still decent especially if the lights in the room are turned off. Note: Press FN+Esc if you want to reset the keyboard. To change mode between wired and wireless, press FN+tab for a few seconds until the caps lock and windows key start flashing, then press FN+p until the P start flashing to enter pairing mode, turn on Bluetooth on your computer or smartphone, pair it, and you're good to go. Just in case the P doesn't flash, just press FN+tab again and press FN+p again until it enters pairing mode. You can pair up to 3 devices and switch between them by pressing FN+1 to 3. Choose a number first and then pair a device. Once all your devices are paired properly, changing between them becomes very seamless and fast. 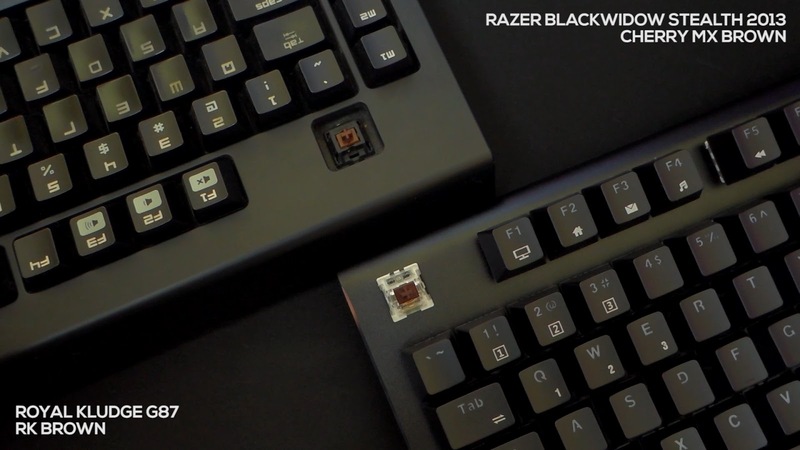 It's worth noting that once you connect the keyboard via a wired connection, even if you turn off the switch at the back, it will still be on Bluetooth mode, so you have to press FN+tab to switch to a wired connection and vice versa. 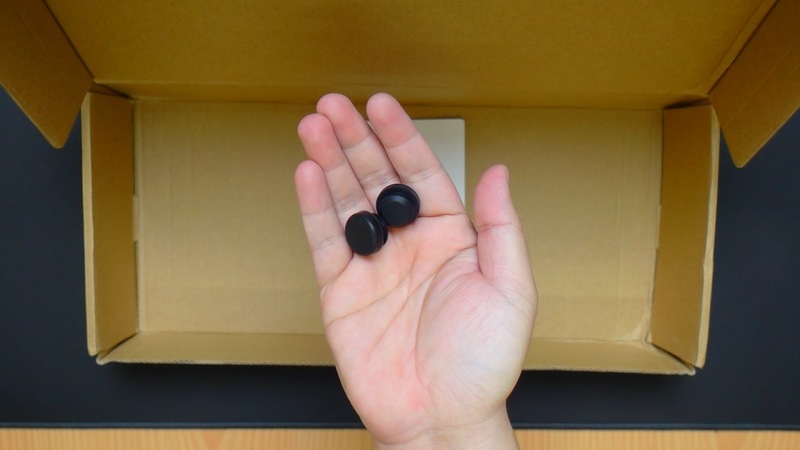 Some users are reporting that their keyboard is not working out of the box, and that is because of this. In terms of battery, I can't find any information about the exact capacity but it is rated up to 100 hours in Bluetooth mode and for my testing, I was able to use it for about 2 and a half days without turning off Bluetooth. LED turned off on the 2nd day though but continued to work until the battery died out. The FN key flashed when the battery is about to die notifying me to charge the battery. 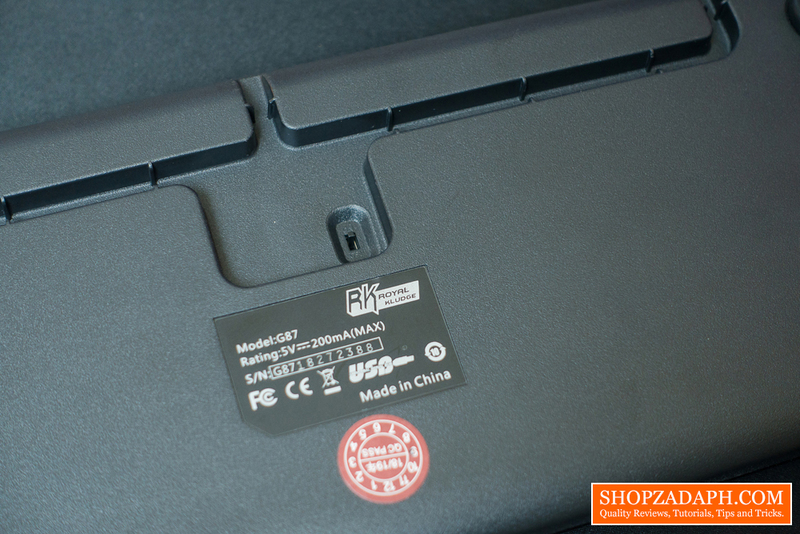 While charging, the spacebar will light up red and will turn off once fully charged. It has power saving mode that works on both wired and wireless mode, which will auto turn off LED lighting after around 3 minutes. 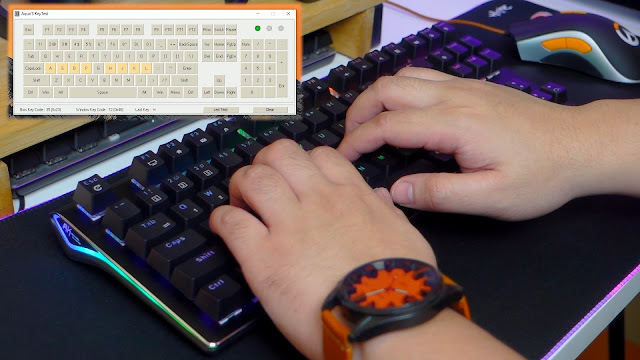 Bluetooth is still turned on though and the keyboard wakes up immediately with a keypress. 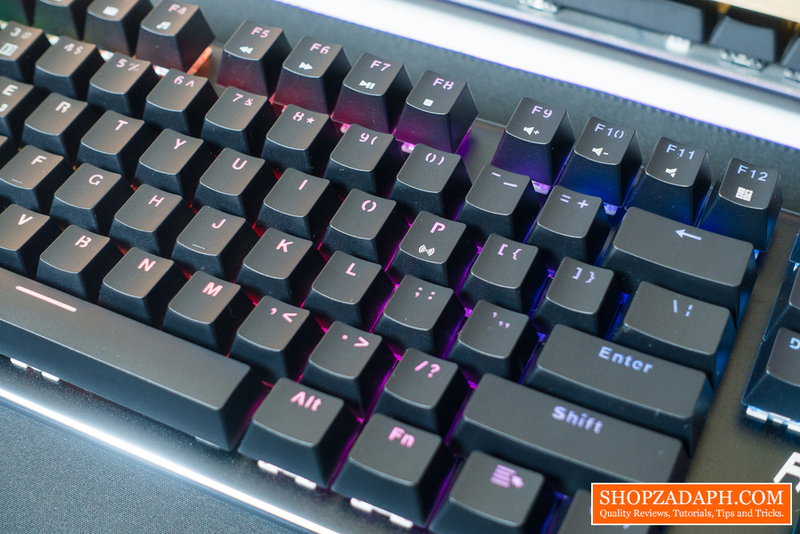 When it comes to gaming, the Royal Kludge G87 did not disappoint. It features all key rollover which means you can press all keys without conflicts, and as per my testing, I didn't encounter any issue with it. I tried pressing multiple keys at the same time and they all registered properly. I also didn't encounter any noticeable ghosting. 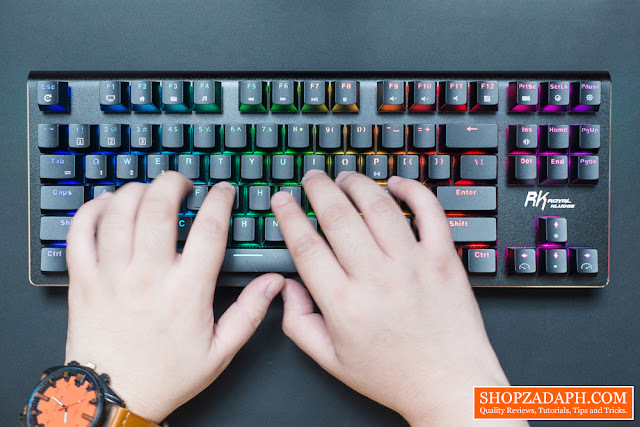 This is good for gaming especially games that you'll likely press multiple keys at the same time like MOBA games such as Dota 2. The brown switch is also good for FPS games, ideally, FPS gamers go for linear switch because you'll always going to bottom out the keys anyways, and the tactile bump is not really necessary, but sometimes it's nice that you can press the key around the actuation point while waiting for the right moment to activate it, like performing strafe movements and the like. And when it comes to typing, I really love brown switches, it provides that tactile response without giving out too much noise. 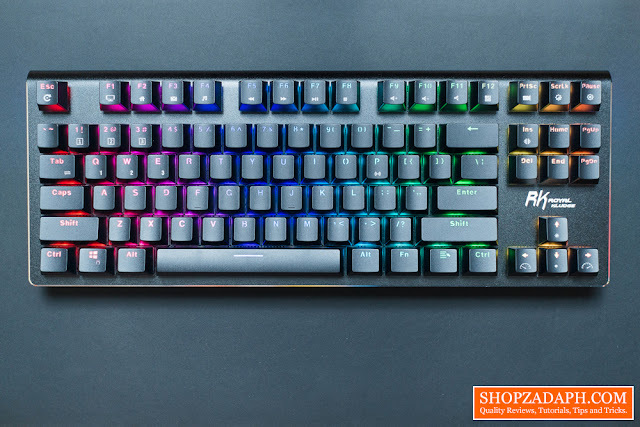 And if I have to guess, I think the actuation force of the RK browns are around 50-55g, I'm not a keyboard expert so I could be wrong. Regardless, typing with brown switches is really nice and I think I'm going to stick with it for a while. 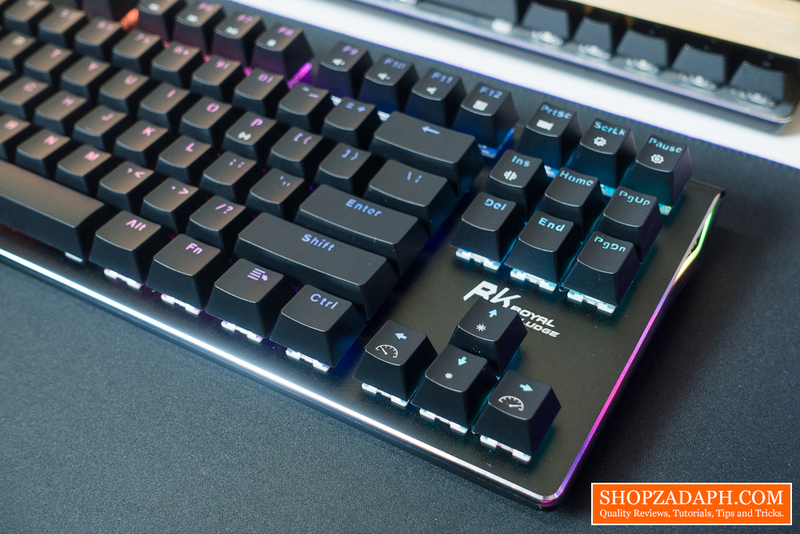 Now, this also being a wireless keyboard, there's pretty much 0 latency, I tested this on both FPS games like CS: Go and battlefield, as well as MOBA games like Dota 2, and I didn't encounter any issue with it. all key presses were recognized instantly, even those quick micro movements. 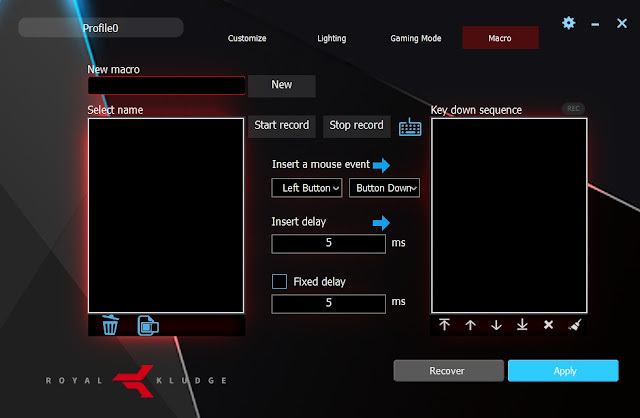 Inside the software, we have 3 available profiles to use and each key is customizable depending on your preference, you can change the key function to a different one, change it to a mouse function, use macro and other options. You can also customize the RGB lighting here, most of which you can already do so via the keyboard itself, which we've already tackled earlier. 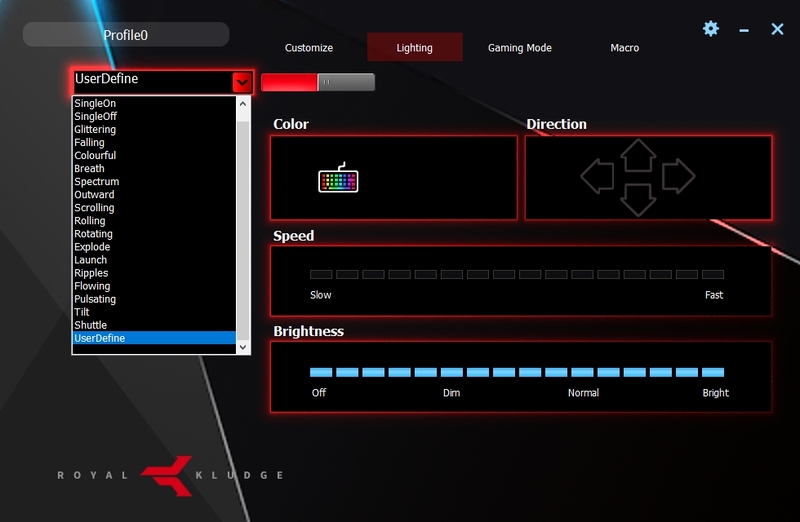 So you can adjust speed, brightness, direction, and colors. 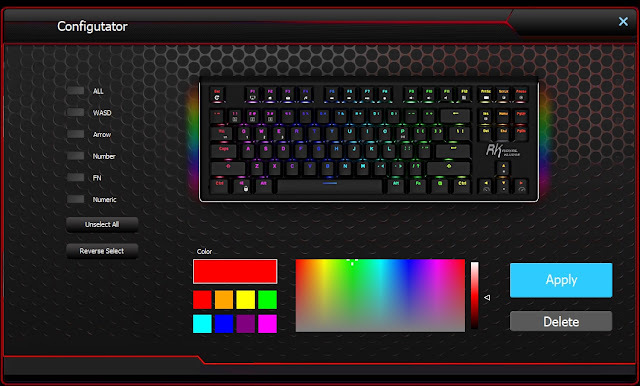 But what the software allows you to do here is that you can set your own custom colors from the 16.8 million color palette, and allows you to easily customize the colors of each key individually that would otherwise take a lot of time using just the keyboard. 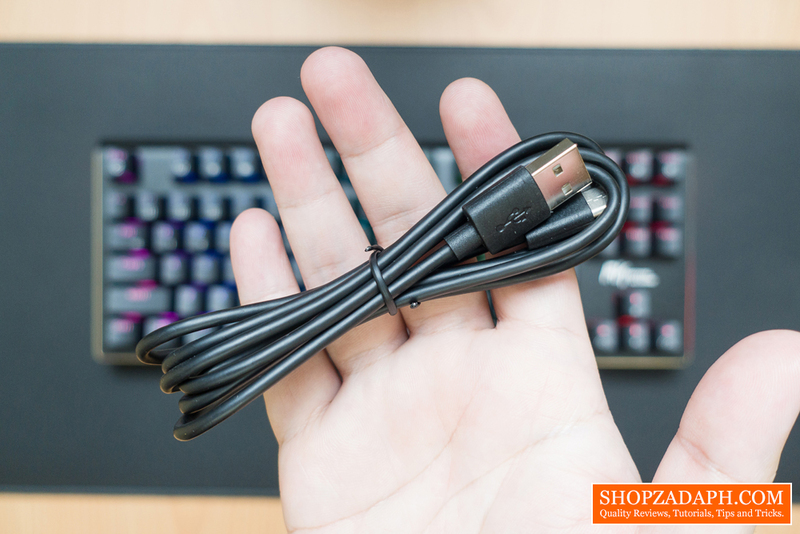 You can also disable some key combinations here to prevent interference while gaming. And lastly, you can also record your own macros if you're into that. The only downside is that sometimes the software doesn't launch and I need to reinstall it for it to work again, other than that, It's super intuitive and always good to have. 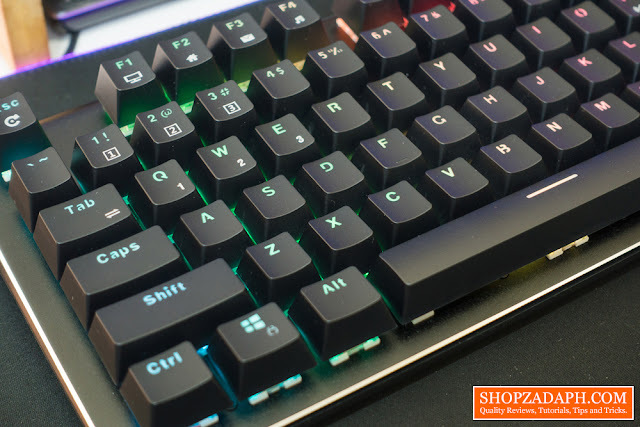 To conclude, the Royal Kludge G87 is really a good option if you're looking for a budget tenkeyless keyboard that works in both wired and wireless connection, it has a ton of lighting modes and has side glow illumination to boot, the RK brown switch is also decent and good for both typing and gaming. 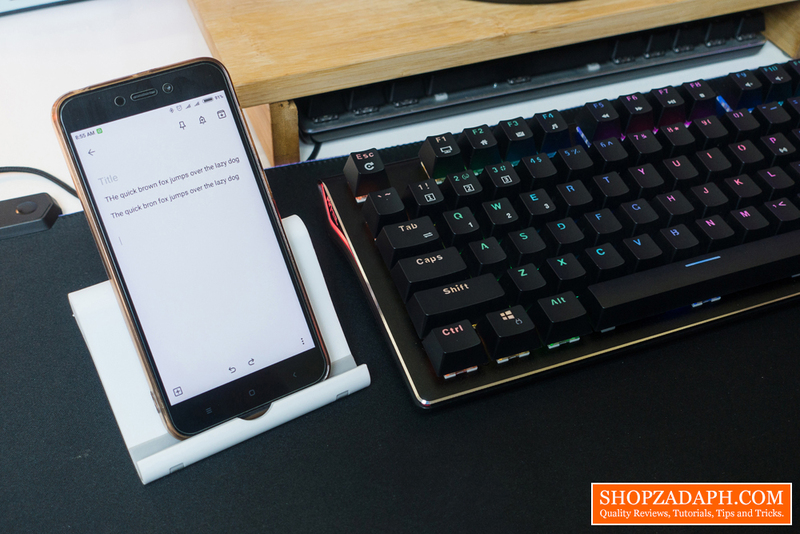 The overall build quality of this keyboard is really impressive and aside from the buggy software, it's really easy to recommend this to anyone. Hi, I received the RK G87 recently but when using it in Bluetooth mode some Fn + ??? key combination stopped the typing from working (for exampletyping "a" on the keyboard wouldn't send that through to my laptop). 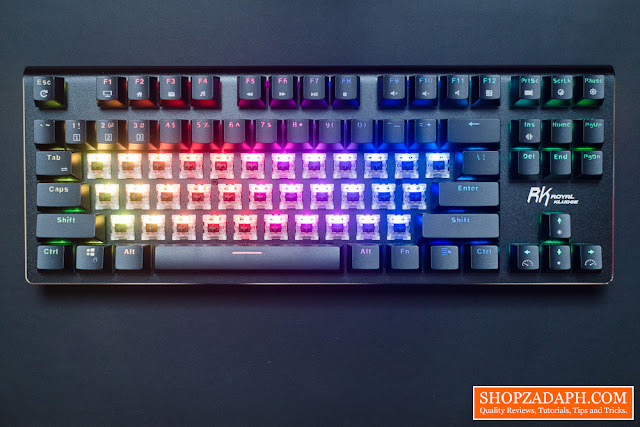 I tried Fn + Esc to reset the keyboard, but now the keyboard seems to turn off every 2-3 seconds (backlight turns off until you press another key in another few seconds), making it impossible to use in its current state. Would you have any idea how to resolve this issue? Thanks. Hi, Very nice review. You explained everything about this keyboard. I also read the review of Motospeed CK104. I like both the keyboards. I'm currently building a budget gaming PC for my relative. If its for gaming purpose, which keyboard will u personally prefer? 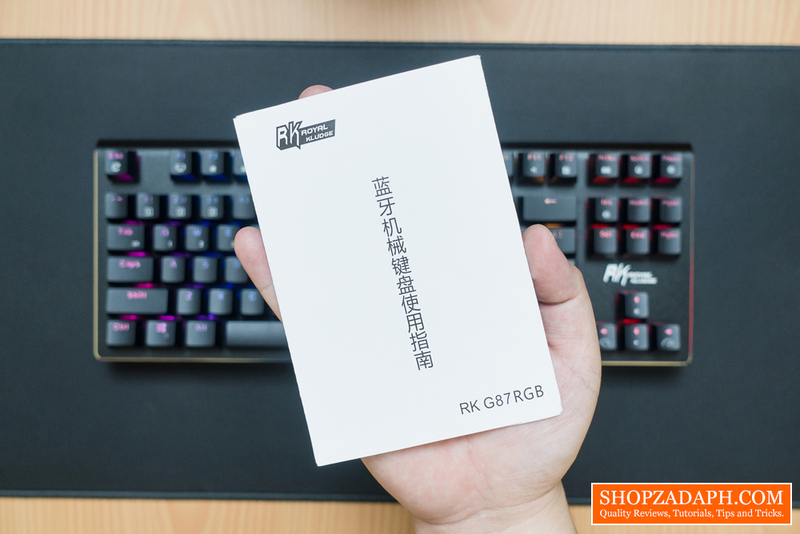 G87 or CK104? Don't really care about the Num. Pad. Hoping for an early reply. 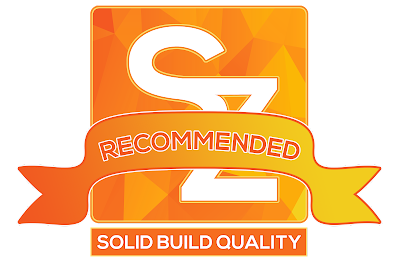 P.S Awesome review on youtube as well. 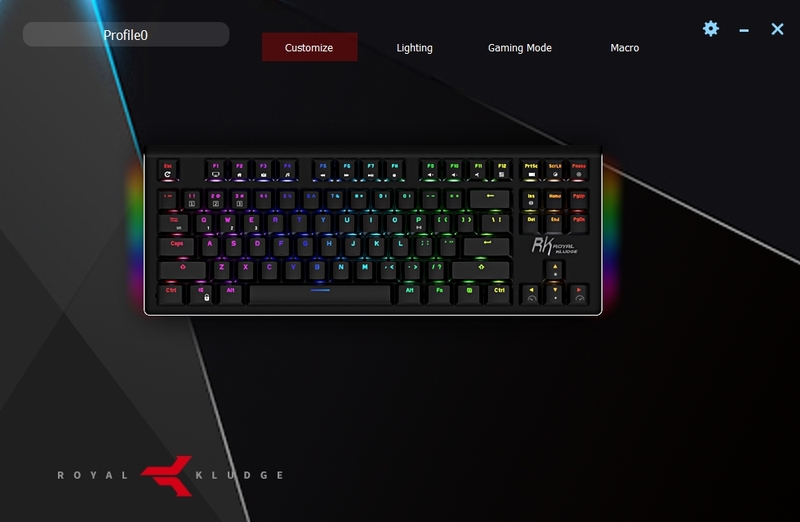 For me I'd go for the Royal Kludge G87, it's better overall especially with better build quality and lighting effects. The RK brown switch is also decent. I am not a fan of the Outemu switches to be honest as it is a little bit scratchy. Thank you for the reply. I've decided to get the RK G87.